Before I married or even had children I decided that my children would be raised bilingual, English and Spanish. Spanish was my first language. I grew up speaking Spanish to my grandparents and other family members. I watched TV in Spanish and could read most things in Spanish. Through my school years I would speak mostly English but never hesitated to use my Spanglish. As I grew older and started working, I realized how important it was to be bilingual. Being bilingual has not only kept me connected with other family members but also opened up many doors in my education and career. As I was well into my pregnancy with my first child I began to make decisions with my husband for my child’s upbringing. We both agreed on hiring a family member who spoke Spanish to care for our son while we returned to work. My son heard 95% Spanish for the first 9 months of his life. When I decided to stay home with my son during my 2nd pregnancy, the Spanish stopped. My husband doesn’t speak Spanish. My family lived 2 hrs away and I was nowhere near motivated to speak Spanish to my son. 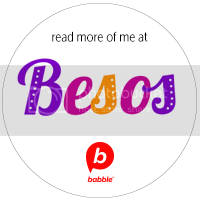 I felt awkward, shy, and nervous when I would try to be affectionate with my son in Spanish. I just couldn’t parent in Spanish, there was almost a block. I hate to think that one of the reasons why I left my job, post partum depression, had anything to do with it, but I’m not sure. There were times when I felt that if my son did learn and only understood Spanish my husband would feel left out. I know that thought was ridiculous but it did run through my mind. I tried to find reasoning behind why I couldn’t get myself to interact with my kid in Spanish. I began to wonder if I did in fact have equal knowledge in both languages. I came up with the conclusion that no, but that wasn’t a reason to stop me. I turned to different online sites to find motivation and ideas on how to parent my son to be bilingual. 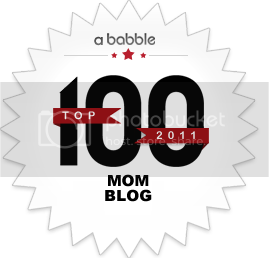 I learned about one parent one language via SpanglishBaby . That worked out for a couple of days before it became hard and I stopped. I did activities, read books, sang songs and broke many promises of being consistent with the language. My priority, as much as I wanted it to be, wasn’t speaking Spanish. I soon gave birth to my daughter and months later moved cross country miles away from my immediate family. The struggle to speak Spanish only grew greater. I now was in a house where I was the only Spanish-speaking individual. My husband and his family encouraged me to speak Spanish, but I’d do well for a week and then it was easier for my kids to understand me in English. I wanted to see results fast, but I soon learned that was impractical. I expected way too much. I began to get frustrated and eventually gave up on the idea of my kids ever speaking Spanish. I was homesick and decided to head back to California where I decided to live in Tijuana for 2 months. There I spoke Spanish every day. My kids were spoken to in English less and understanding Spanish more. They were saying small words like amigo, tortilla, pan, and agua. Two months in Mexico made me realize my kids are more than capable. My kids are little and now is the time. It’s me who needs to kick it into gear. I need to be consistent. Being bilingual isn’t going to be an easy journey. Patience is needed. 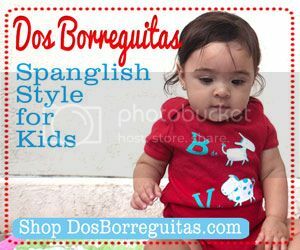 When we returned to New Jersey, where we now call home, I decided I’d start a playgroup/mom group where my kids and I can go and interact with other kids in Spanish. I realized baby steps would gain us success. I decided to take a different approach rather than to force the language and expect fast results, I’d be casual and let them hear me. I’ve created small activities that will keep me active with my first language. My play group idea is almost set to launch. Our bilingual journey starts with me! I dream of the day my kids will speak to my parents in Spanish. I hear and understand your struggles. I married my husband and one plus I saw in him was that he spoke very good Spanish, had lived overseas and loved the Hispanic culture..sometimes even more than me ..it has helped a lot in raising our children. After 7 years as parents the more children we have the harder it gets because among siblings all they want to speak is English, however persistence is the key. We also have an hour a day of ONLY SPANISH in the home. And at nights, we read the scriptures in Spanish. We are doing the best we can and that’s all that matters. Our kids and the world they are in will thank us for that. I sometimes find it hard too to continue speaking Spanish when it seems so much easier to speak in English. It’s interesting to see just how much Spanish you really don’t know when you start making an effort to speak it 24/7. (I can bonestly say I’ve never need the word for “hoot” – ulalar – in my whole entire life, but now i find myself hitting wordrefeen e.com quite often! We’re doing OPOL as well. After 13 months of doing it though, I can actually say it has become easier. So stick with it and take it day by day. If you have to Spanglish it a sentence or two, it’s no big deal. Just look e word up later. Also, love the idea of the Spanish speaking moms group. I may steal your idea and do the same here! We can all use some support! What a beautiful reflection on the challenges of raising bilingual children! Good luck! Thank you for sharing this! It so often can feel like we are the only ones struggling. Love this post, Ruby! What an inspiration you are! I totally wish we lived closer so that Alina and I could join your playgroup. For so many reasons, I know my kids would flourish being friends with kids like yours. Abrazos, amiga. You’ve got a good blog here! would you like to create some invite posts on my blog?